Beijing Normal University, a key university under the guidance of the Ministry of Education, is a renowned institution of higher learning, emphasizing teacher education and basic learning in both arts and sciences. BNU has over 3,000 faculty and 21,000 full-time students, including 8,700 undergraduates, 10,000 graduates, and 1,800 long-term international students. Beijing Normal University (BNU) has a history of more than 100 years, which is almost as long as the history of Chinese modern education. The University has developed from the Faculty of Education, Capital Metropolitan University established in 1902 under the concept of Establish school, prioritize teacher education, which initiated teacher training in Chinese higher education. Beijing Normal University, a key university under the guidance of the Ministry of Education, is a renowned institution of higher learning, emphasizing teacher education and basic learning in both arts and sciences. The university’s predecessor, the Normal College of the Imperial University of Peking, was founded in 1902. In 1908, the school changed its name to the Advanced Normal College of the Imperial University and became independent. 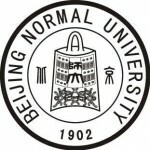 In 1912, the name again changed, to Beijing Advanced Normal School, and finally, in 1923 the name changed to Beijing Normal University, the first Normal University in Chinese history. In 1931 and 1952, respectively, Peking Women’s Normal University and Fu Jen Catholic University were merged into Beijing Normal University. Among the National Key universities constructed during the time of China’s Seventh and Eighth Five-Year Plans, Beijing Normal University was confirmed as one of the nation’s first 10 key universities and entered into the first “211 Project” Construction Program during the Ninth Five-Year Plan. During the 2002 Centennial Celebration, the Ministry of Education and Beijing Municipality attached great importance to collaboration in the development of Beijing Normal University. The Ninth Congress of the Communist Party of China in Beijing listed Beijing Normal University among the institutions that they support to build into world-class universities. Over the Tenth Five-Year Plan period, the university was listed among the nation’s “985 Project” Construction programs. The total area of Beijing Normal University covers 172.6 acres, and the school has over 3,000 faculty and 21,000 full-time students, including 8,700 undergraduates, 10,000 graduates, and 1,800 long-term international students. The campus has one education faculty, 22 schools and colleges, 2 departments, and 24 research institutes (centers). The library boasts over 3.88 million volumes and some 100,000 GB of digital resources. The comprehensive disciplinary strength of Beijing Normal University puts the school at the forefront of the nation’s advanced teaching institutions. In 2002, it was one of the first six universities with independent examination and approval authority for undergraduate majors. The university offers 57 different undergraduate majors, 162 Master’s degree programs, 100 Ph.D. programs, 18 different rotating post-doctoral posts, and 16 primary subjects Ph.D. and Master’s degree programs. At present, there are five primary subjects, 11 secondary subjects accorded national key subject status, and two secondary subjects accorded national key (fostering) subject status. Moreover, there are three primary subjects accorded key subject status of Beijing Municipality, nine secondary key subjects of Beijing Municipality, and one interdisciplinary program accorded key subject status of Beijing Municipality. These programs cover 11 disciplinary categories, excluding military science, and comprise a comprehensive curriculum. According to the assessment results of primary subjects in 2009 as issued by the Ministry of Education Academic Degree Center, the three primary subject, education, psychology, and Chinese language and literature ranked first, and 15 other subjects ranked among the top ten in China.